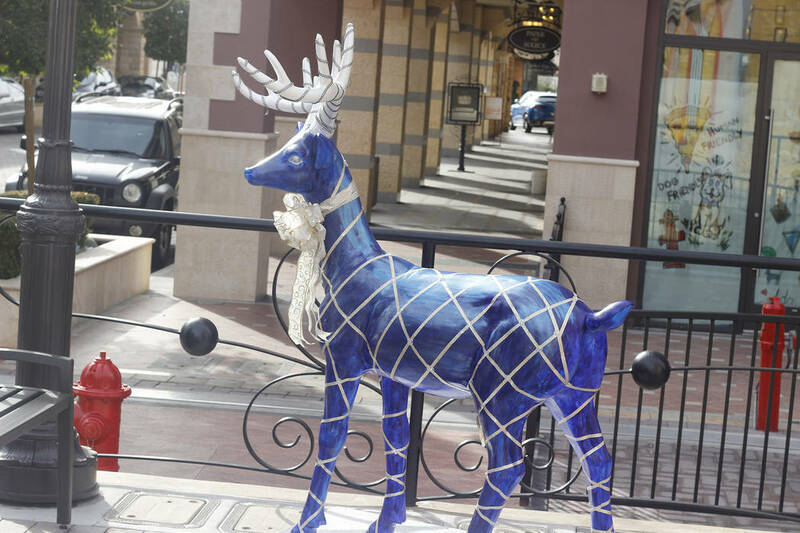 A stroll through the streets of Tivoli Village anytime through Jan. 31 will reveal an assortment of art-covered model reindeer at almost every corner. “Each reindeer cost about $2,000, and we had them all shipped from overseas,” said Andrea Schubert, assistant general manager at Tivoli. 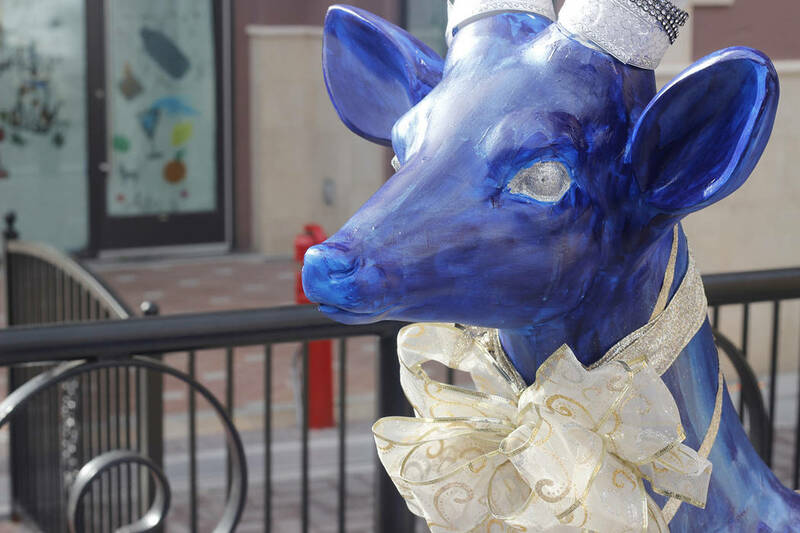 The exhibit is part of Tivoli Village’s inagural Adopt-A-Reindeer fundraiser, aimed at raising money for nonprofits and showcasing artists. 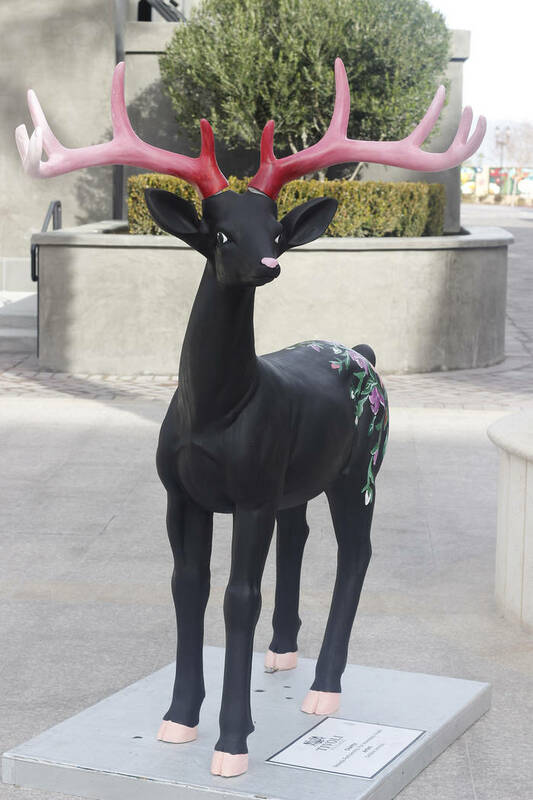 Schubert and team members at Tivoli chose 13 artists to paint the reindeer however they chose in early December. Each artist chose a nonprofit to benefit from the fundraiser. 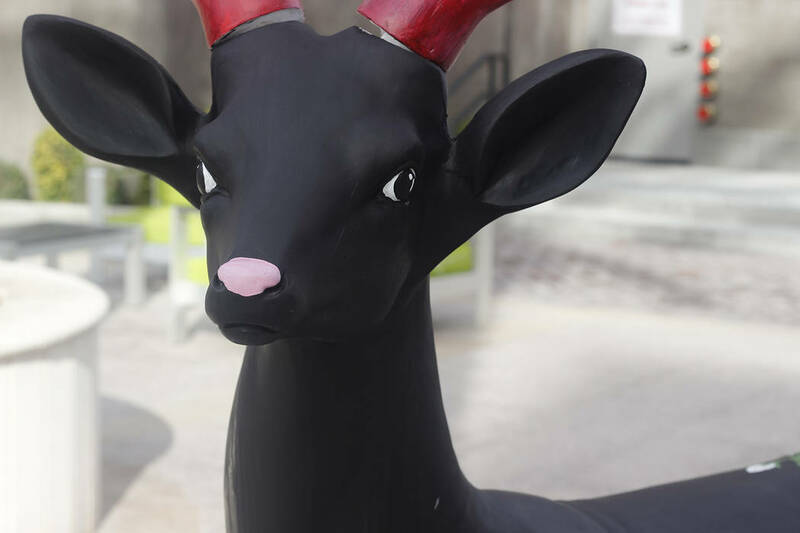 All donations made will go directly to the nonprofits each reindeer stands in honor of. The highest donor’s name will be featured on a plaque on the reindeer he or she chose, Schubert said. 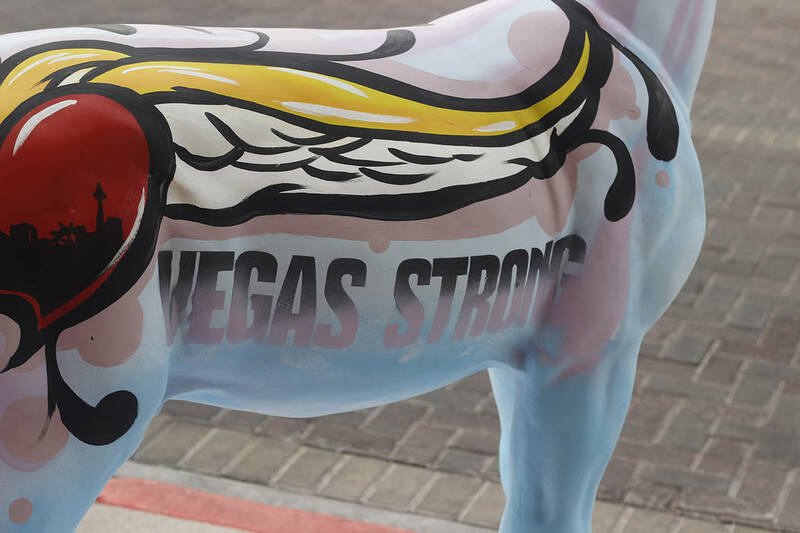 One of the artists, 35-year-old Juan Muniz of southeast Las Vegas, wanted to emulate his pride for the city through his design. 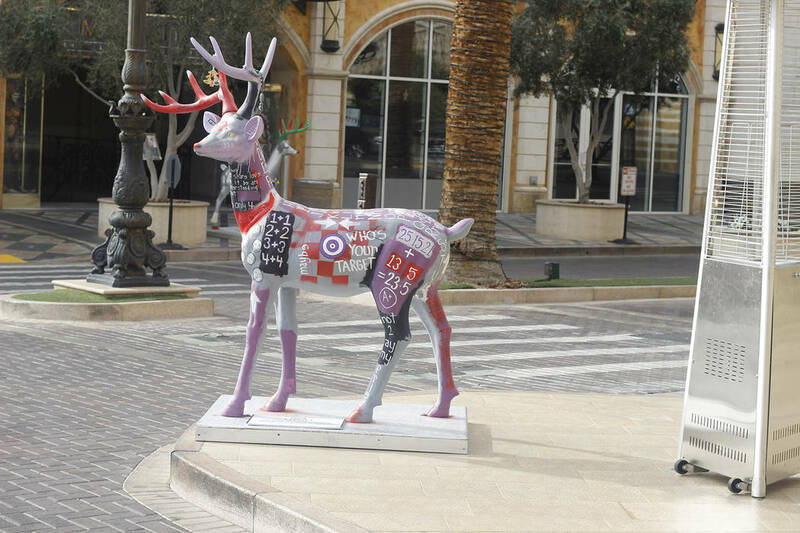 His reindeer is covered in pale pastel colors, paired with “Vegas Strong” along one side of the reindeer’s torso and a heart with wings on the other. He chose Jake Kielb’s Hockey Foundation to benefit from the fundraiser. The foundation provides financial aid and gear to make it more affordable for children interested in playing hockey. In September, it launched a sled hockey program for children with physical disabilitites. Twelve other artists participated, including 49-year-old Karen Jaikowski of Henderson, who chose Heaven Can Wait Animal Society. Contact Mia Sims at msims@reviewjournal.com or 702-383-0298. Follow @miasims___ on Twitter. People can donate online at fundly.com/reindeer-donation and specify the charity of their choice on the campaign wall. Donations also can be dropped off at the management office at Tivoli Village, 420 S. Rampart, Suite 240.